There is nothing that satisfies the need for structure and tradition like the boxwood. When out looking at my boxwoods (Buxus sempervirens) in the yard, poking through the snow yesterday, I remembered our visit to the Marqueyssac Garden in Perigord, France. 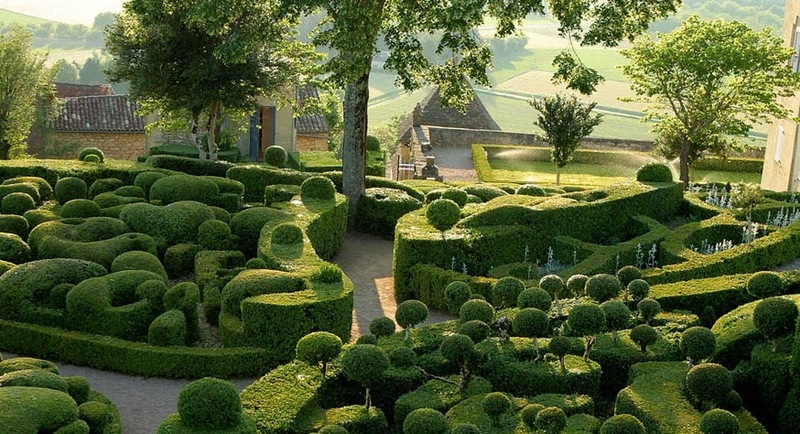 Boasting over 150,000 boxwoods all trimmed by hand, this garden was all structure and form. 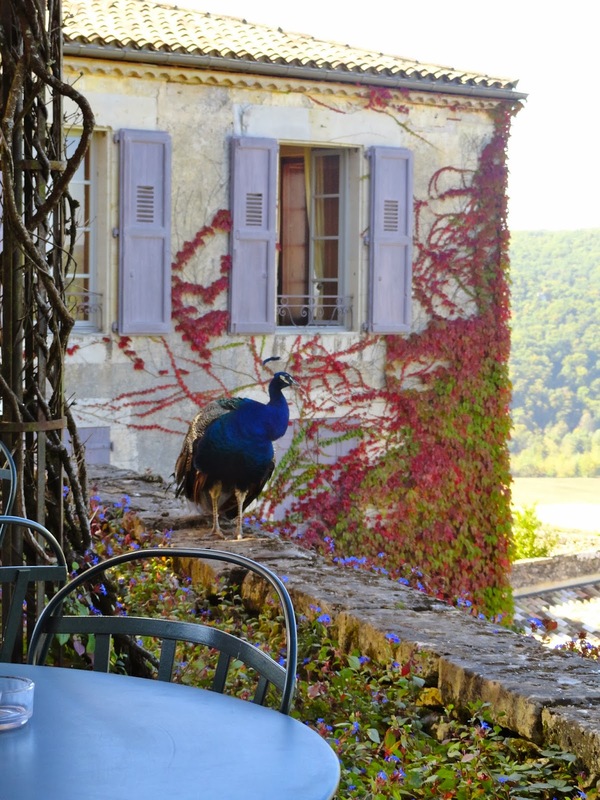 The 4 miles of paths wind along a hilltop overlooking the ancient Dordogne valley, with the Aquitaine village of Roque-Gagneac along the river below. Restored and reopened to the public in 1997, the garden also has a restored chateau and a fine restaurant. 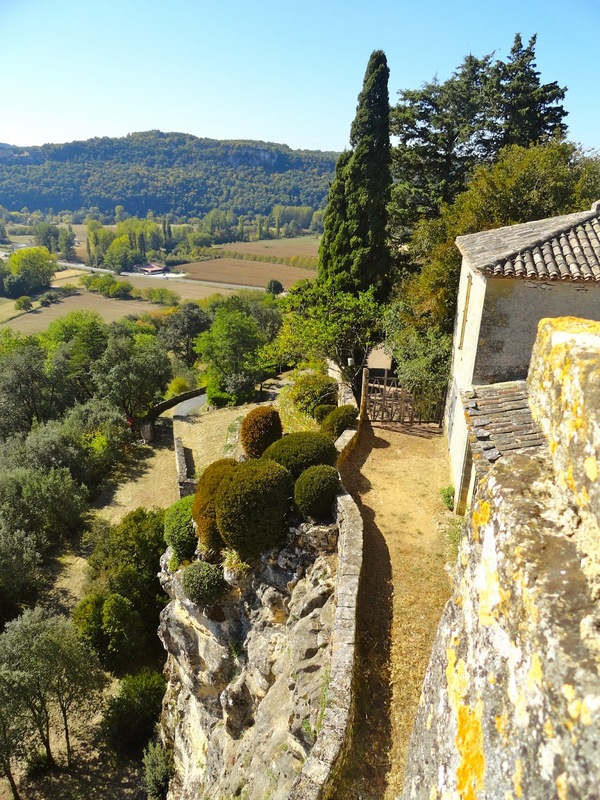 The chateau dates from the late 1700's with limestone slabs for its roof. 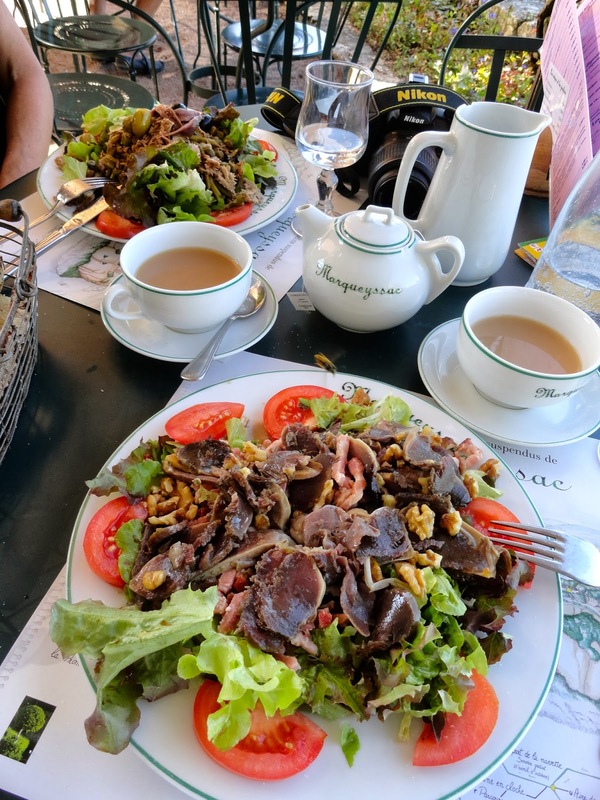 Being my birthday, we treated ourselves to a spectacular lunch of duck salad while overlooking valley. At every turn there was something scenic for the eye. The effect of the close, middle and distance views is tremendously satisfying. Our view was of Castlenaud, which was our next stop. On our way out we peeked into all the small out buildings that were part of the 1700 estate. Chicken house, root cellar, and a surprise! A house with dioramas of the bizzare et sauvage aspects of the local wildlife! I love the French!